The fall quilt I started in October is finished. Well, at least its a finished quilt top - the quilting can be done later. 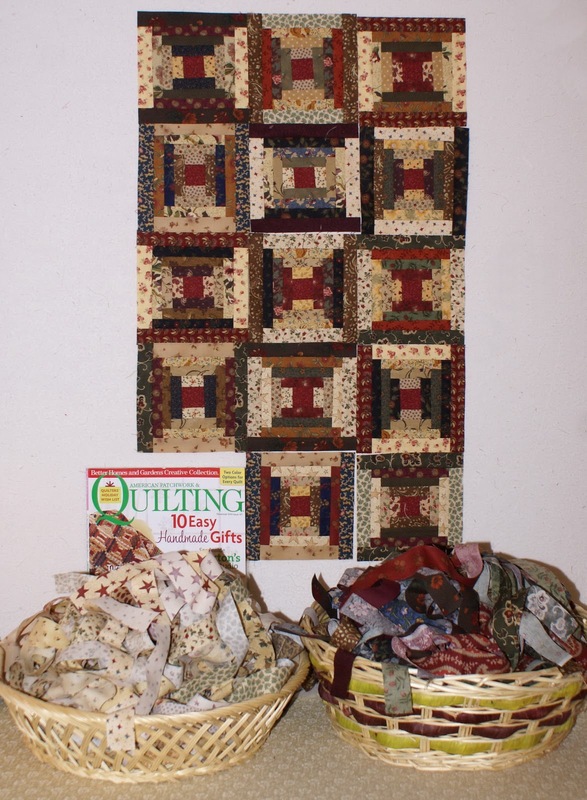 A great scrappy quilt by Jo Morton was featured on the cover of American Patchwork and Quilting (Dec.2010). It was a lot of fun pulling fabric from my boxes of scraps and cutting the 1" strips for this quilt. Each of the Courthouse Steps blocks in only 5" so there is a long way to go before this is a full size quit, but my plan is to keep the two baskets of strips beside my sewing machine and stitch together a couple of blocks whenever I have a moment to sit and sew. Dorothy I love those colours you have combined in that quilt...reminds me of autumn leaves...it's beautiful! Have fun with the new quilt. 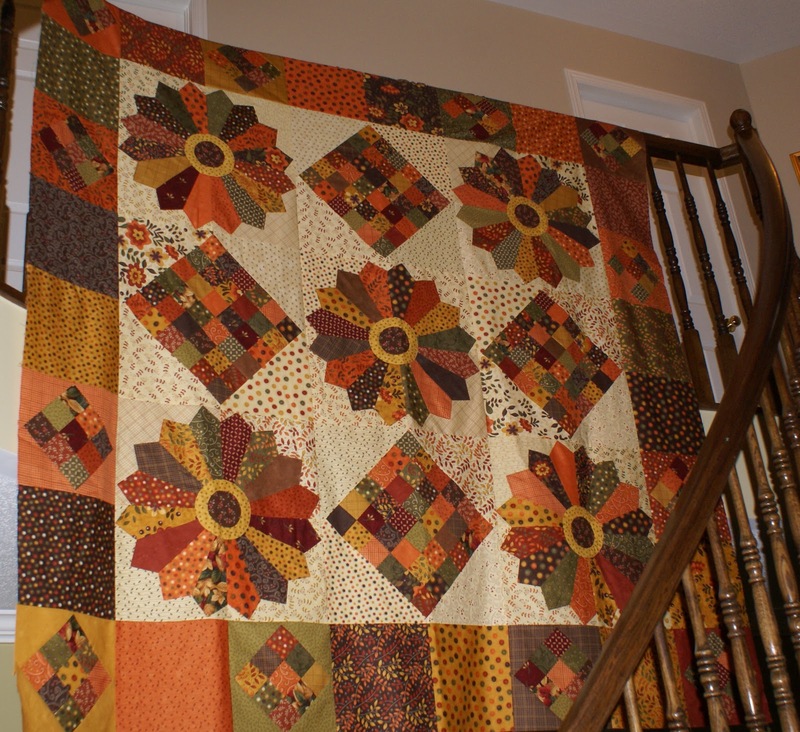 I absolutely love your autumn quilt!!!! Great design and fabrics. Your courthouse blocks are coming along very nicely.